Won't you join me for some Chocolate Covered Peanut Butter Eggs and a cup of tea? 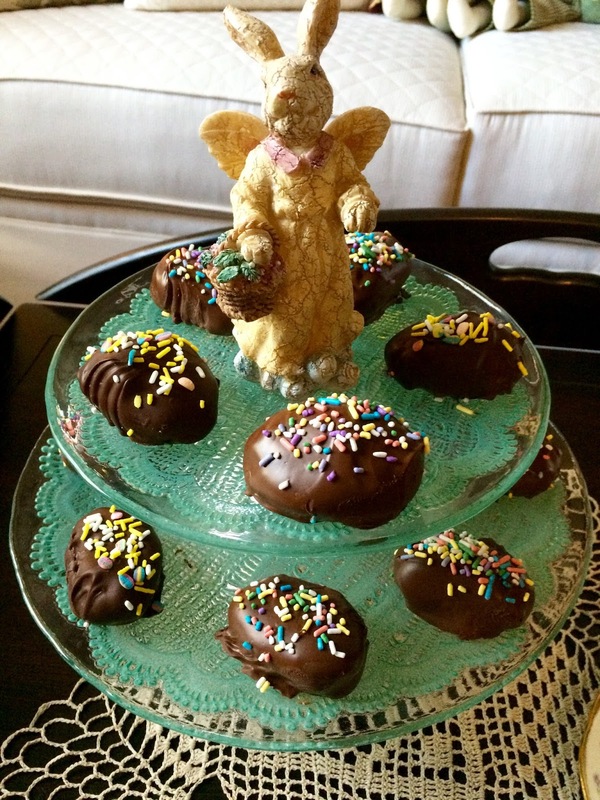 My dear friend, Linda, gave me this two piece tiered plate stand for my birthday. 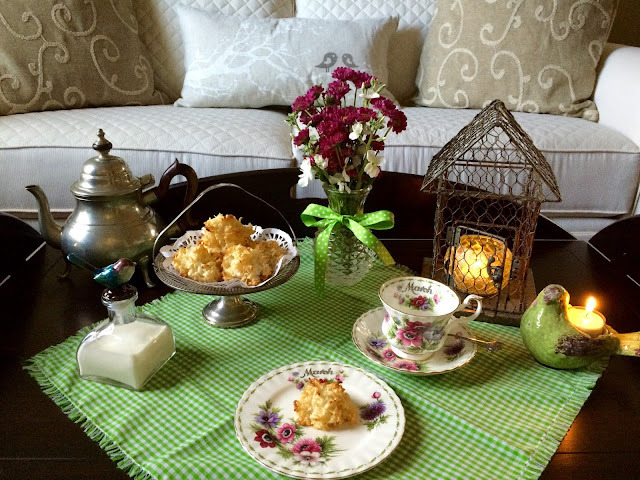 Isn't it beautiful with the green doily embossed into the glass? I can see using this for so many things. Thanks, Linda! 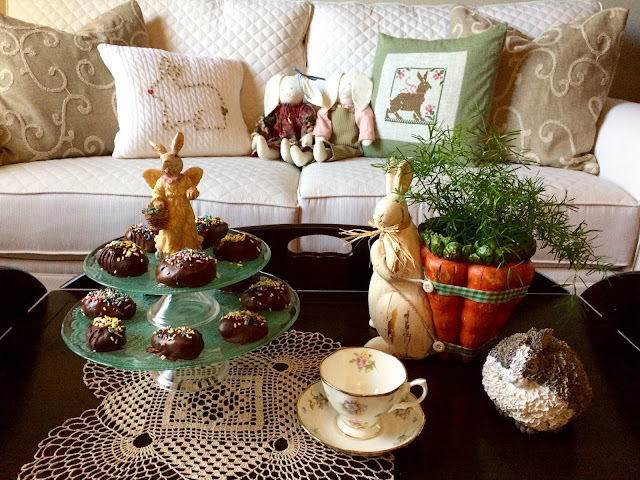 My Peanut Butter Easter Eggs recipe can be found here. I'm using my Royal Albert 1920's Spring Meadow to celebrate SPRING! 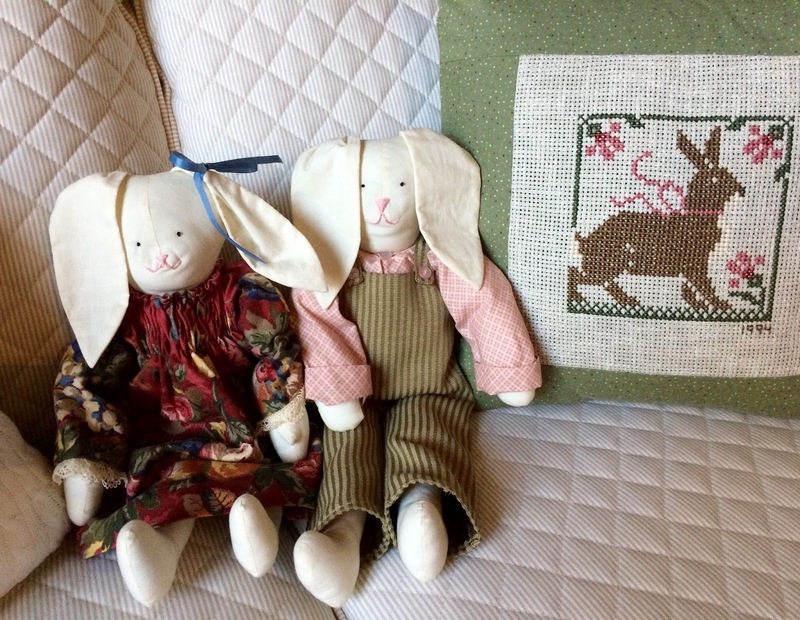 I made this bunny couple years ago and I always love getting them out for Easter. Fairy BlogMother, Linda, from Life and Linda made some adorable furry critters, which you can find here, a few weeks ago and I loved them so much that I had to be a copy cat and make them for my grandkids. 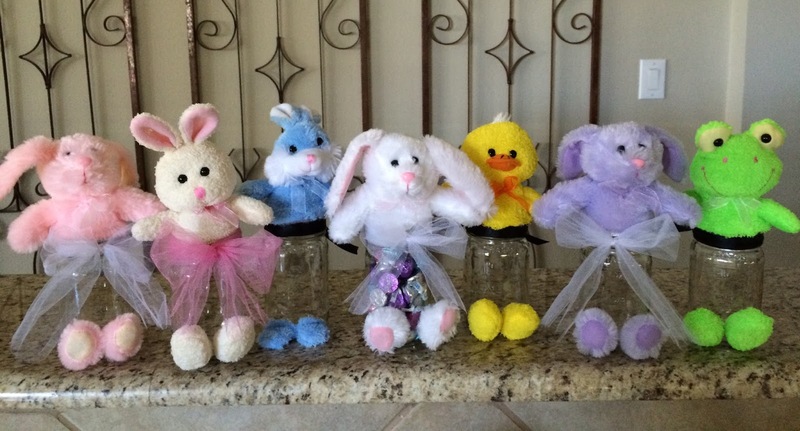 Aren't they the cutest jars for treats? The stuffed animals all came from the Dollar Tree. You cut them apart (oh dear, I felt like I was amputating the little critters!) in the middle, cut their little feet off, and hot glue them onto the jars. I used various ribbons to cover the rim of the jar. It was a fun craft, and they look so sweet! Thanks for the idea, Linda! Two of my grands spent the night and we copied what Mary made of Home Is Where The Boat Is, a few weeks ago. 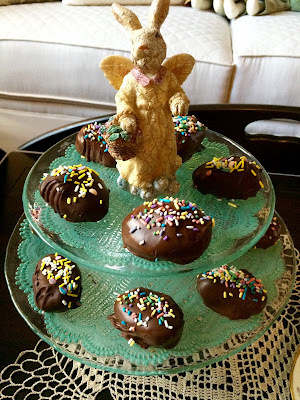 To see Mary's directions and her beautiful cookie tart, you can visit here. 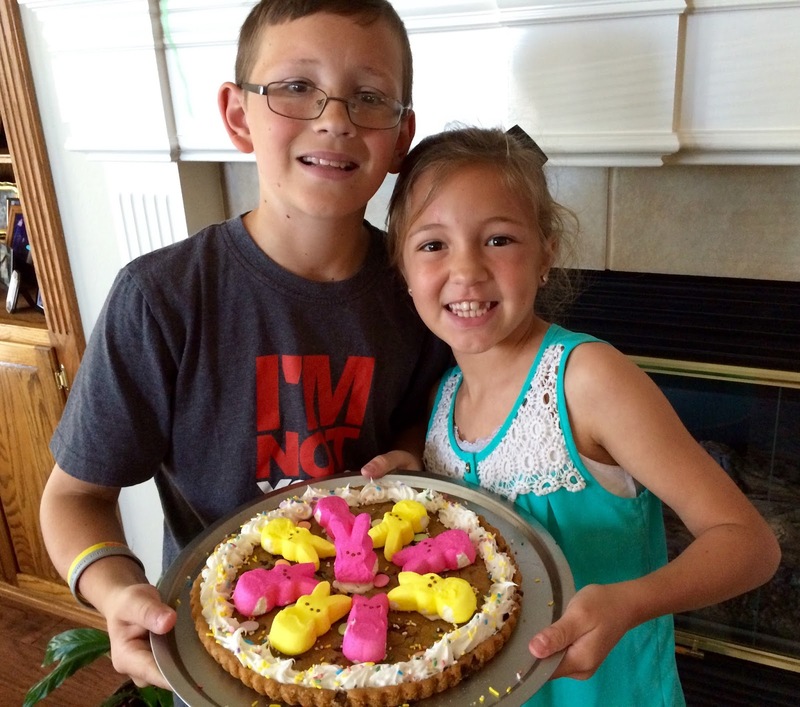 Didn't the kids do a great job on this Peeps Cookie Tart? Thanks for the inspiration, Mary! The kids even used my Wilton Dessert Decorator and piped the icing on by themselves. 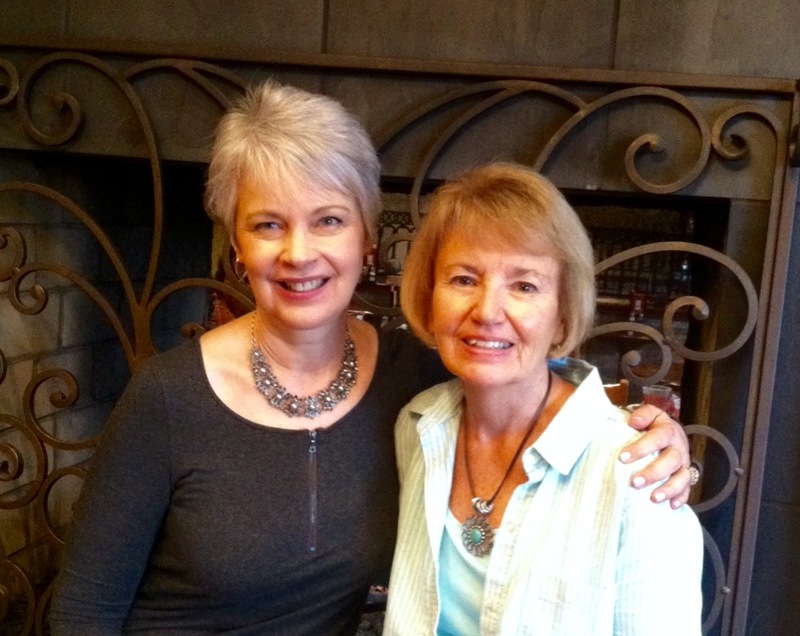 And last, but not least, I was so excited to be able to meet Deborah, from The Beautiful Matters, who came from Michigan to attend a wedding. 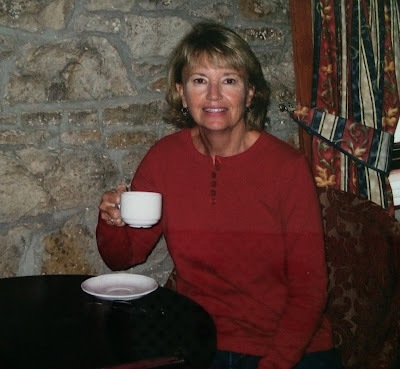 We had lunch together and spent a couple of hours just chatting away, as if we hadn't seen each other in quite some time. Isn't it wonderful how we actually get to "know" blogging friends through their words, and what they share on their blogs. Deborah is as beautiful on the inside as well as the outside. 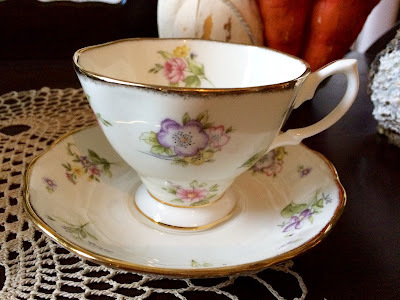 Deborah gave me the cutest teacup and a gift bag filled with several teas, which I will share some other time. Our friend, Celeste, from Southern DayDreams was supposed to join us, but she was under the weather, and couldn't make it. We missed her! Kathleen, from Cuisine Kathleen is having her annual St. Patrick's Day Blog Crawl on Wednesday, March 16th, and it's always a lot of fun! 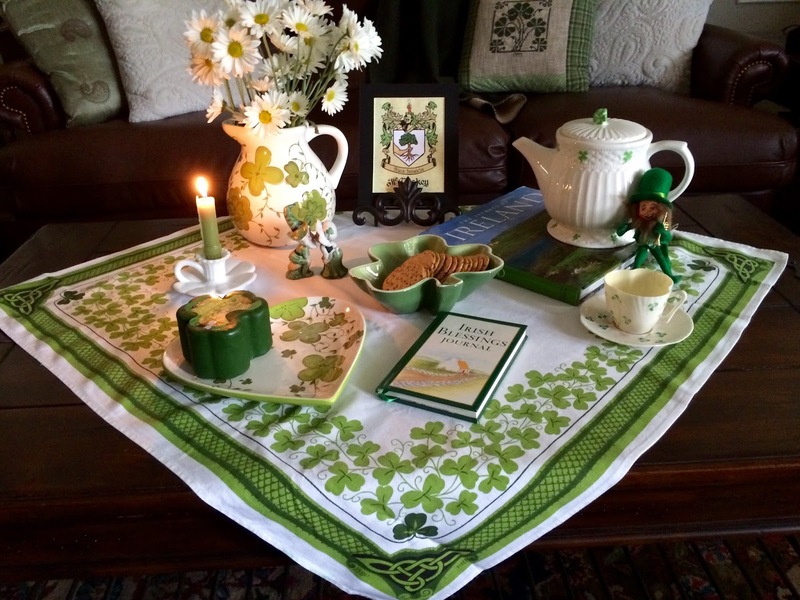 This year I had the pleasure of receiving the special Traveling Shamrock Tablecloth from Sarah, at Hyacinths For The Soul, who had it last year. 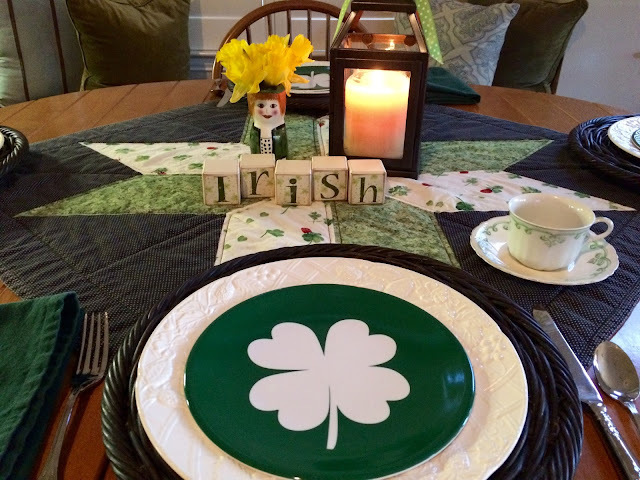 The Traveling Shamrock Tablecloth was started by Marigene @ In The Middle of Nowhere, who sent it to Kathleen @ Cuisine Kathleen, with the stipulation that it be passed on to another blogger for the following year. Kathleen passed it to Rett @ The Gazebo House , who sent it to Mary @ Home Is Where The Boat Is, who then sent it to Sarah @ Hyacinths For The Soul. It's always a surprise who receives it for the following year. I'm using by Belleek teacup for tea and the pretty teapot that my daughter bought me years ago. 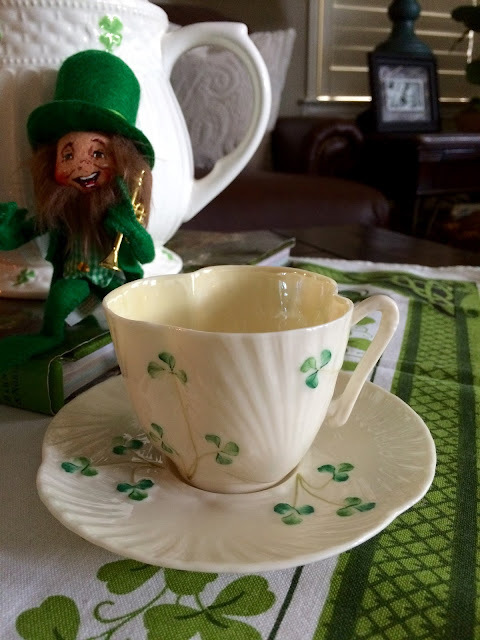 The little Annalee leprechaun has joined us for some fun. 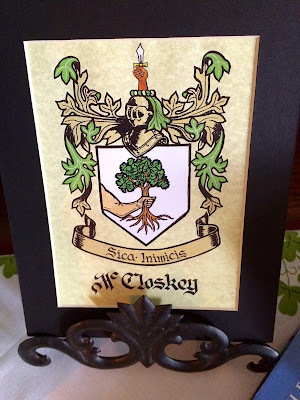 When my late beloved hubby and I visited Ireland back in September of 2009, we found my maiden name's shield of honor. 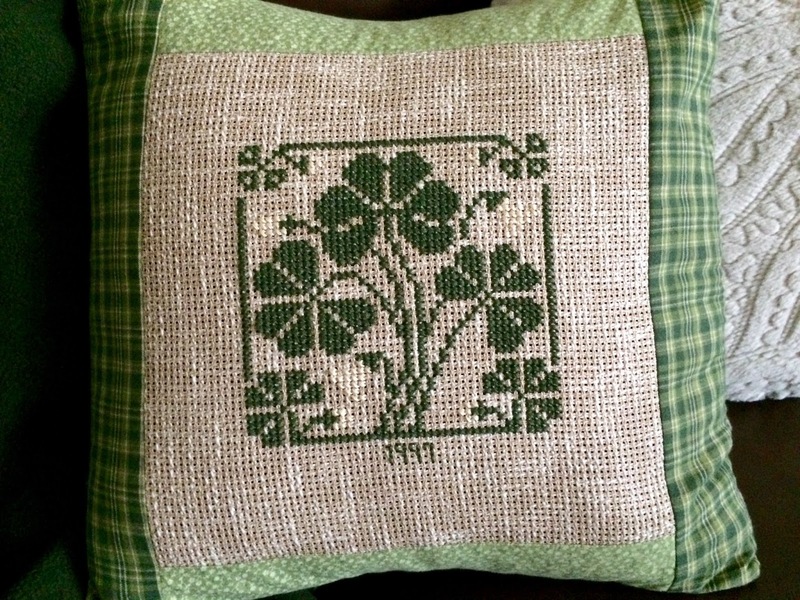 I love to do counted cross stitch and made a pillow for some St. Paddy's Day decor. Can you join me for a simple tea of cheese and crackers, and some Irish Breakfast Tea? You can look at my journal of our trip, if you'd like. I found the shamrock shaped cheese at Costco. Isn't it pretty on the plate, that my daughter gave me. It matches the pitcher that she gave me, too. My mom gave me the darling kissing leprechaun couple, and also the shamrock shaped candle holder, that are so vintage. We stayed in Cabra Castle, in Ireland, as part of our tour. 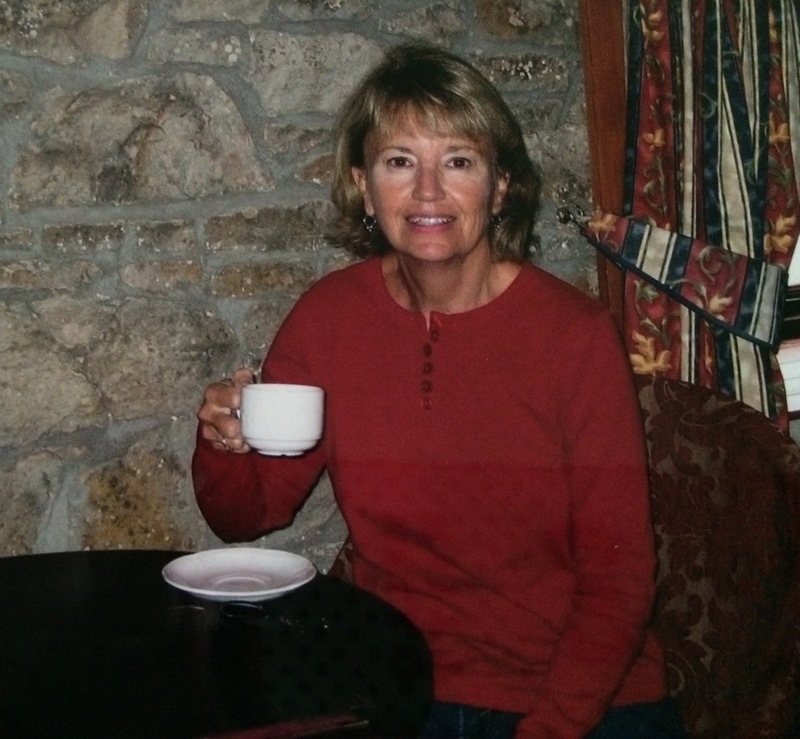 Of course, I had to have a cup of tea in our room. 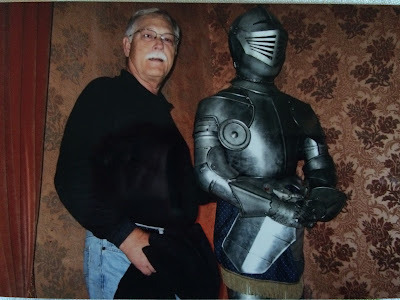 I always thought this was so cute of my hubby, when he stood by the Knight-in-Shining-Armor, since he was always my very own Knight. 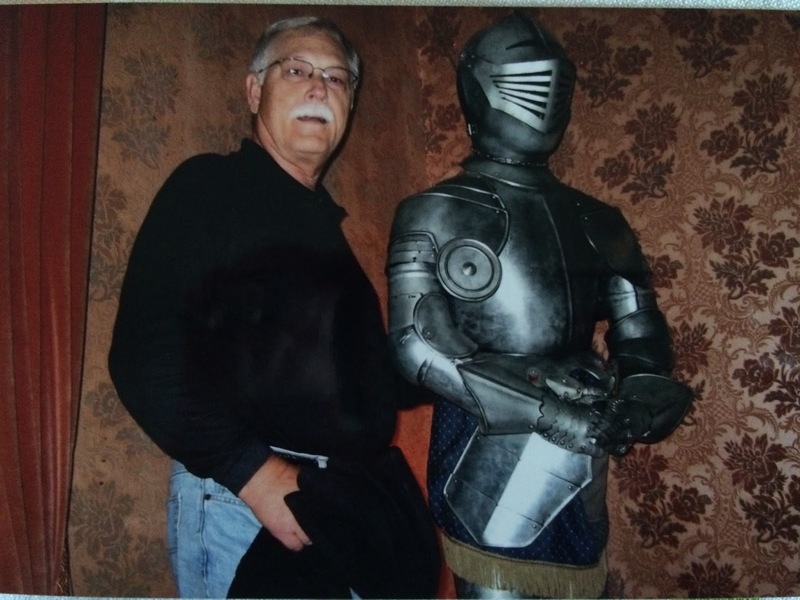 You'll never know how much I miss him. I'll leave you with our photo book of our dream vacation to Ireland. The clovers were ones that I found while there and pressed into my Irish Blessings Journal. 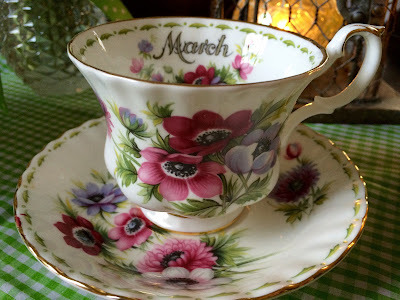 For today's Spring tea, I have some things I'd like to share with you. Let's sit and have a slice of Pistachio Layered Dessert and a cup of tea. The gorgeous pink roses were found at a local grocery store, as a rainy day special, for $2.00!!! Isn't my cabbage teapot with the bunny peeking out the top, so cute? 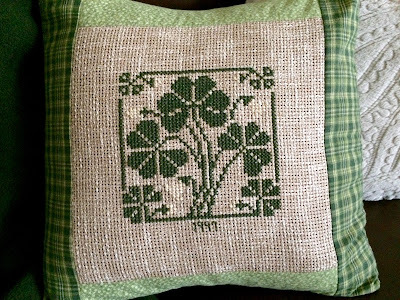 This Spring Cross Stitch is a Lizzie Kate design that I finished last Spring. I did it on linen and changed some of the colors up a bit to suit my tastes. I've done all four seasons and use the same frame for all of them. For the Pistachio Layered Dessert, you can find my recipe that I shared, which can be found here. This time, instead of using Oreos in the crust, I used a sleeve of Lorna Doone cookies, along with the melted butter. They're both good! 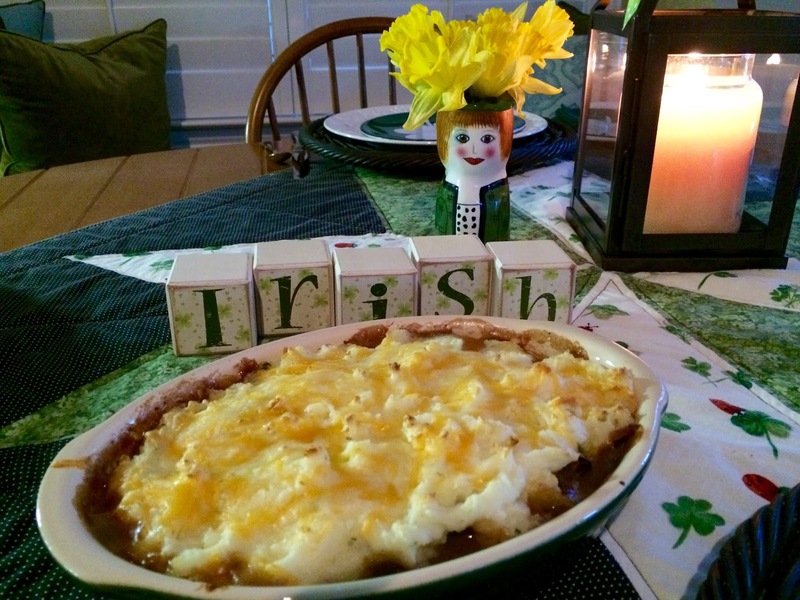 How about joining me for some Irish Cottage Pie at my kitchen table today? 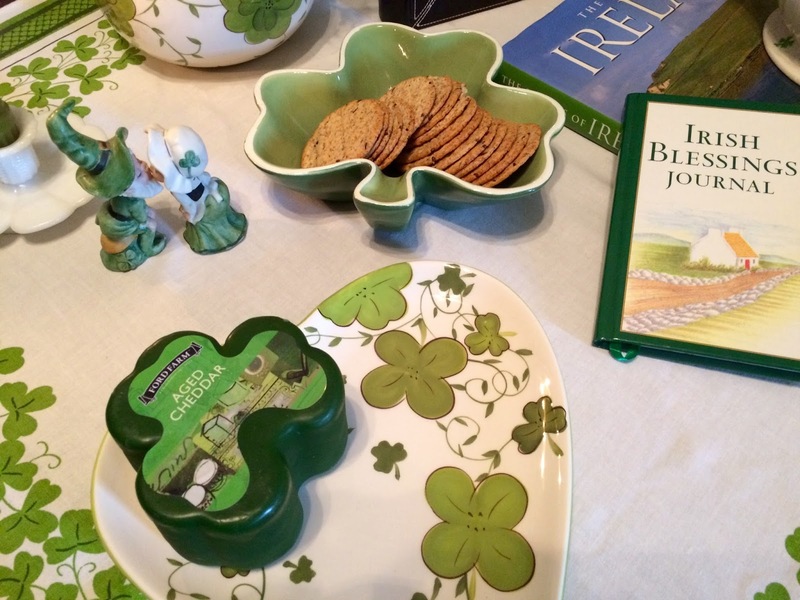 We'll even have some Irish tea, too. My sweet lady vase, named Jade, has filled her hat with some gold mini daffodils from Trader Joe's. 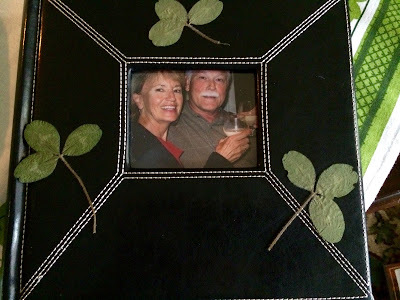 I made the big star quilt several years ago with some fun fabrics for St. Patrick's Day. A yummy candle in Irish Cream scent, from Yankee Candles, is gracing my table. Isn't this a pretty teacup...such an old, vintage pattern from Johnson Brothers, named Rolland? 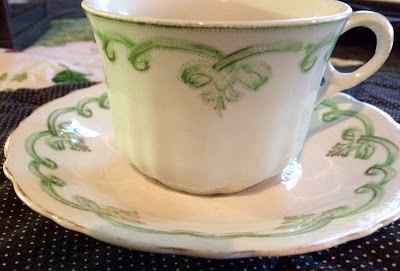 It looks like a Celtic design, twirling around the saucer and the rim of the teacup. Mix the leftover pot roast, gravy and drained green beans together and pour into a greased baking dish. Top this mixture with your mashed potatoes. Bake in a 350 degree oven until nice and bubbly, about 25 minutes. Add some grated cheese on top and bake for an additional 5 minutes.